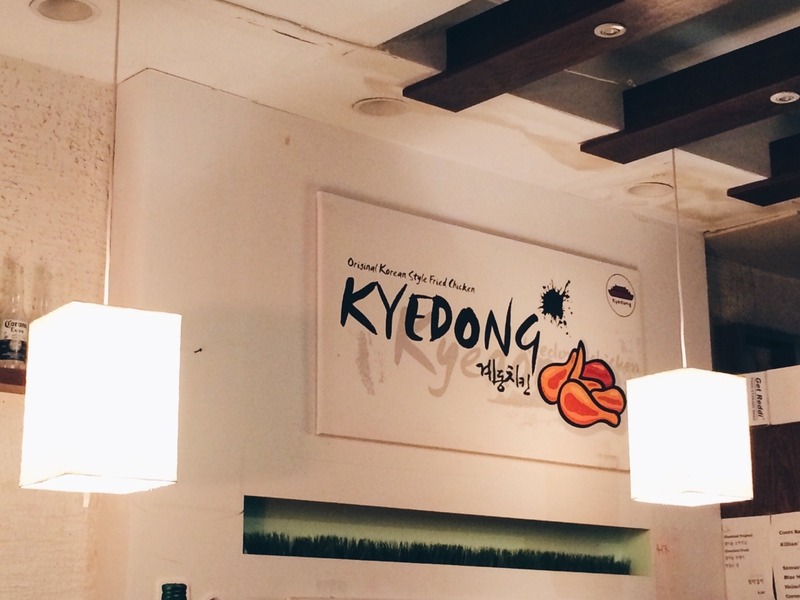 My brother was really craving for some Korean fried chicken wings the other day so we went to a restaurant called Kyedong in Flushing. 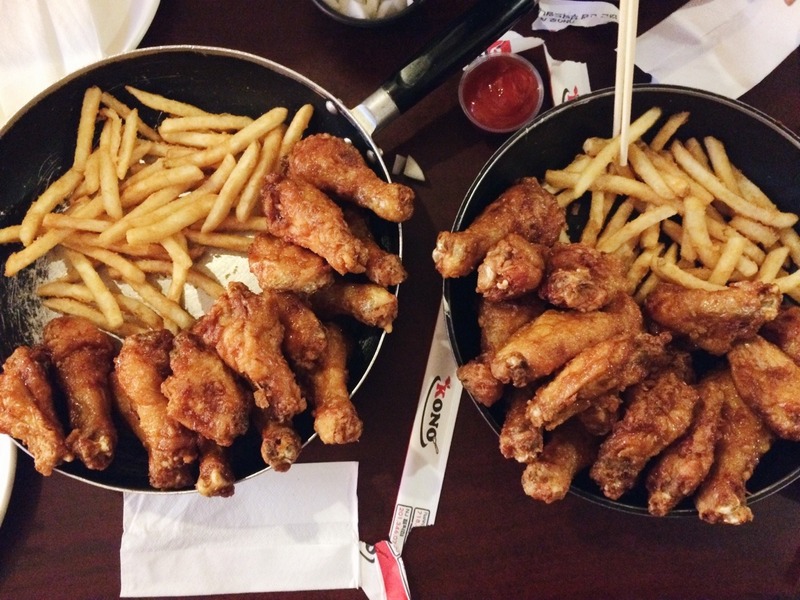 The place is really casual like a hang out - let's eat chicken and drink some beer - type casual. 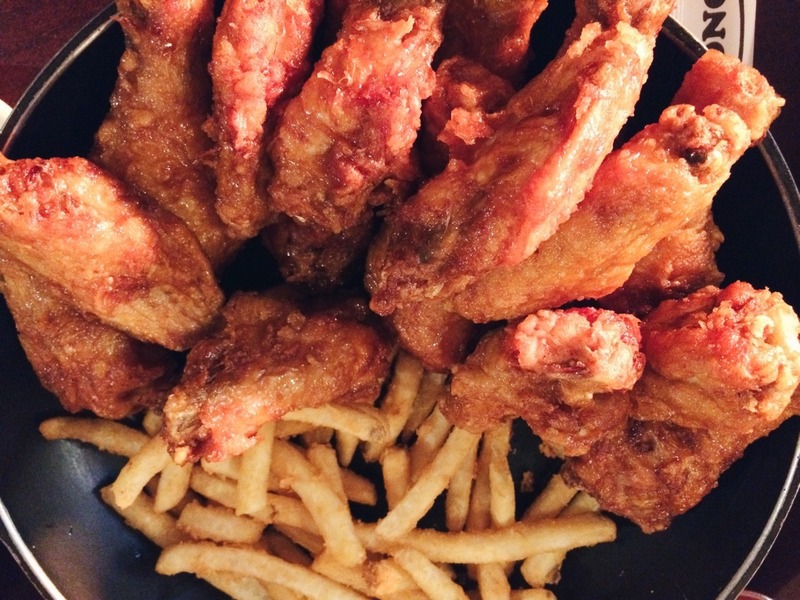 Their menus are small since their main focus is on their wings and pork belly sides. We ordered two large orders of fried chicken, 16 each order, in soy garlic sauce. There were other sauces too that I can't remember but the soy garlic sauce is seriously bomb. There was four of us and we thought 8 each wasn't going to be enough but we were wrong. It was more than enough. I ended up being so full I felt like I couldn't move. The wings were really good. Finger lickin' good. The way they fried the chicken skin with that soy garlic sauce was mmm mmm good. It also had a good amount of meat compared to places like Buffalo Wild Wings where I think the chicken is too skinny.